which enables you to have the longest driving distance? Join this tour and try them for FREE! 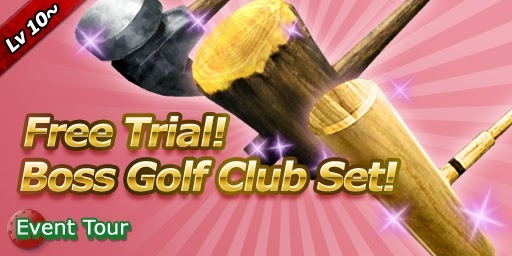 If you get 1,000+ points you will see Boss Golf Club Set on the roulette! The winner's prize is Boss Golf Club Set. The all-birdie prize is 1 Boost. If you get 4,000+ points you will see Phoenix on the roulette!